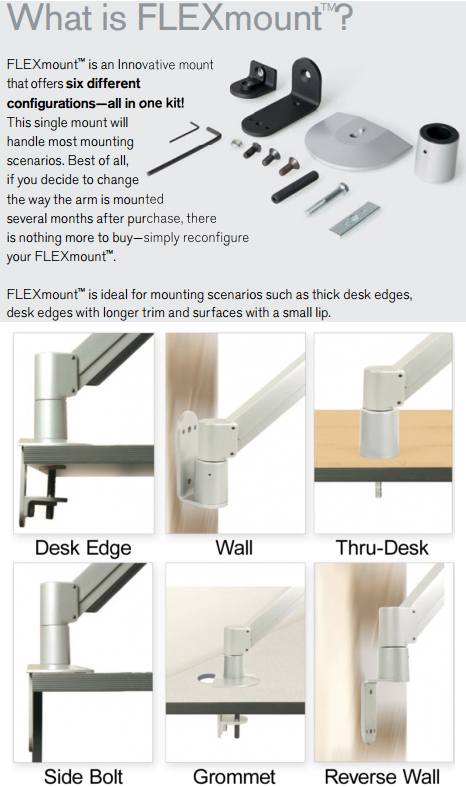 Save space and reclaim your desktop with Innovative 3500 monitor mount. 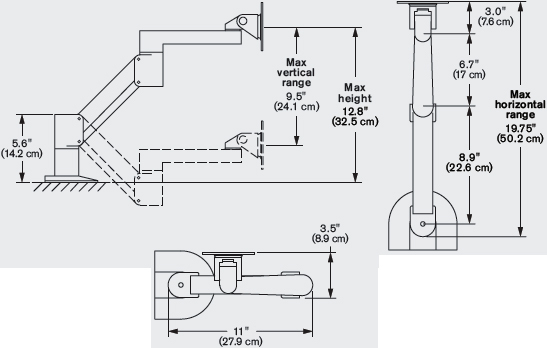 This adjustable monitor mount is a short-reach radial arm that is ideal for small spaces while maintaining ergonomic comfort. Ideal for tight spaces, the 3500 monitor arm provides flexibility in a convenient space-saving configuration. Users are able to freely reposition the monitor mount, which floats your flat panel monitor above the desk. Easily reclaim valuable desk space and work in greater ergonomic comfort.